Relocation is very usual nowadays as once has to move one place to another place for staying due to for their profession, study, their children or their personal reasons. All want to do their packing and moving by self but it is never easy things. When you want the full comfort in relocation then it is a good decision to hire the trustworthy name of packers and movers for the task. There are many relocation service providers available in the market but who is reliable and doing precise work to find very difficult. 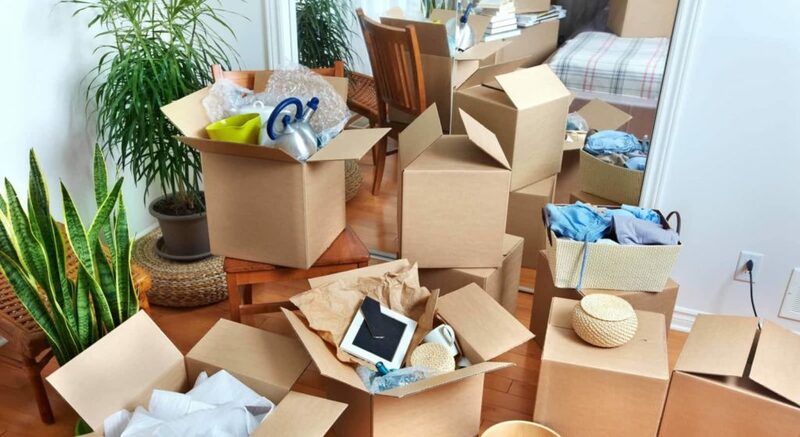 When a person is spending money on packing and moving services, he always expects the best service, he never wants to waste his money at the wrong place. That’s why it is advisable to choose the right packers and movers only after deep research. Once, you done exploring of packers and movers and get fully satisfaction after that only you should hire the mover for the shifting task. In this series of hiring the best moving company, we are here presenting a relief to you. We are presenting here many tricks that would be helping you to take right decision. Knowing this, you would always make the right decision regarding your moving and shifting. First of all you have to know about relocation service provider Company’s actual numbers of year experience and know about favorite domain because of some specialize in commercial relocation or some in household goods shifting. If you are changing your location then ask about company’s branch office in destination city which would aid you to connecting them in any grievances. Also ask about some past references or any past grievance reference and how you solved it. Secondly, budget balance is always essential for moving hence its needs to ask about classification of the price slab. After knowing rates now this is the question about save money so you should unhesitant asks smartly for the negotiation. Many uncertain things can happen during the move. You should ask the moving company if any loss to your property happens during the move, how the company would compensate the loss caused. Inquire for the insurance police or third party insurance and its procedures. Taking the services of packers and movers in shifting is one of the finest decisions. But, the decision need to be cross-checked and examined too. Hence put end on your research as Apollo Relocation Movers and Packers is one of the best experienced, reliable and authentic relocation service providers in pune and gives you the best utmost solution for your shifting. Moving is daunting task for everyone as one has to move into a new house within the city or in a new city can be hectic. Moving countries can bring even more anxiety to many even though there is also a sense of excitement about living in a new place. Thankfully, the stress can be managed with proper moving tips and checklist and also by hiring packers and movers who are experienced and well trained in their job. This will allow you to enjoy the move and go ahead to your life in a new environment. Planning Preparation: Nothing can be carried out well without a proper plan ergo planning is necessary factor to make moving flawlessly. Start planning as soon as possible but make sure that you start planning at least 1 month before the moving date. If your are living in rented house give1 month notice to your landlord. Ensure which utilities you need to cancel or forward to new place such as electricity, water, gas, cable, internet, phone or any magazine or news paper subscription. Before you move, start exploring the best schools for your children and apply for the admission. Get rid of your undesired stuffs: Check out which furniture pieces and electronic stuffs you would need or set in your new house so remaining you can sell or donate. Just check out your belongings and extract approximate figures for boxes you will need for packaging otherwise you would prefer professional packers and movers in pune. Most people have a lot of unused and unappreciated clothes in their closets. Try to revamp your wardrobe and donate the clothing items you no longer like, fit in or desire. Your children may have grown up and are no longer playing with the toys that are filled in the cabinets in their rooms. This is the best time to donate the toys and books that your kids no longer use. Pre-Planning is the best preparation for relocation but it would be advisable to hire professional approach and Apollo Relocation Movers and Packers in pune is one of the best experienced, reliable and authentic relocation service provider. Book from a list of reputed Packers and Movers in pune that Apollo Relocation Movers and Packers has to provide. When relocating household goods or office, moving the goods can be the most difficult part for many people, because of shifting process, to start make list of items to packing and moving things safely. When some very delicate items to move safely, for that matter can be tedious. That time, you must call a moving company to get help. However, professional packers and movers can help you do it smoothly and successfully. They have team with innovative accomplished techniques and equipment which make relocation easy and smooth in any difficult situation. Some professional Packers and Movers in Pune that provide insurance and pay you the full amount of goods damaged during relocation. It is good thing to create a checklist in advance to relocating your home of office. You make list all your goods and items to moving safely. Mention checklist some questions in your mind for Logistic Company like, provide insurance of goods or items damaged during shifting process. You must check company reviews and read customer reviews and check their services on all aspects. Before hire Packers and Movers, You must check the company’s provide every step from packing, loading, transport, unloading, and unpacking of your valuable goods. They can even help to unpack and rearrange things if you so want. Before, you must check company positive and negative reviews on website, or meet face to face management team of company’s office. Also you can ask your neighbors, friends who have hired the packers and movers before on whether the company satisfied them or not. Last but main, very important point of pricing or services compare to different packers and movers. So, take a decision carefully after analyzing what type of services you are getting at what prices. You must check contract paper (terms and policy) properly before you sign, read every line as per your discussion to mention in contract paper. Apollo Relocation Movers and Packers have written about packers and movers since a decade. If you are looking reliable packers and movers in Pune! Here your search ends!!! Apollo Relocation Movers and Packers is renowned Packers and Movers in Pune that provide precise solution of relocation services in Pune. There is good in everything that we do but only the difference is how we look into it. This thing also applies with shifting as well. When someone leaves the place and moves his goods, he takes memories of good time that have been spent there. Shifting is just like living the comfort zone and getting settled to somewhere else. Of course we leave our group, our dear ones, and our good neighbors after moving but we always find something good happening. There are numerous good things while you moving house or office. You can get new opportunity, new adventure like great experience facing the new things. Everyone has desire for a new couch so it give chance to buy new goods and items for your house or office. The main matter we can decorate or furnish our house or office as per our desires and wishes. These all are the good things but before settled at new location, there is huge process of packing, shifting and moving also this process is not like piece of cake as it may bring you in big trouble. There are manifold complexities during packing and moving hence one need to have the professional approach. In addition, complex shifting business or house becomes that time to hire professional packers and movers in Pune, is the best solution ever who can take care of everything or every item of your business and house and make the safest shifting. There are numerous motive behind customer consider us while hiring relocation service provider in Pune. We are well known registered logistic company in Pune and we have good excessive experience in this field. Our teams do any job with dedication, well mannered, carefully and honestly so customer can get advantageous result and achieve great satisfaction. Our team have best techniques to handle the goods whether fragile or heavy and take meticulous care of your delicate items that will get packed with high quality packing material also wrap individually and filled with tissue also we use foam to avoid breakage. The most important is that transport all goods very hassle free and in timely manner also we accomplish our task with great care of your belongings from the packing and loading till unloading. Finding reliable packers and movers in Pune is like hard nuts to crack also people have no time to visit the companies personally and get information of their work. So end stop searching anywhere for the best packers and movers in Pune and do not get more panic. Our company Apollo Relocation Movers and Packers brings precise solution of relocating services in Pune. Hiring professional is very feasible way for packing and shifting process. We are trustworthy, authentic and renowned packers and movers which have been serving the customers with the most optimal, responsible relocation services at affordable cost. Ours packers and movers are well equipped with innovative accomplished techniques and various tools and equipment which make relocation easy and smooth in any difficult situation.